This article is about the song by Enigma. For the 2001 film, see Return to Innocence (film). (1994) "The Eyes of Truth"
"Return to Innocence" is a song by Romanian-German musical group Enigma. It was released on January 4, 1994 as the lead single from their second album, The Cross of Changes. It became the project's most successful international single after "Sadeness (Part I)", reaching number one in over 10 countries (including Ireland, Norway, Sweden and Zimbabwe), number three on the UK Singles Chart, and the top five in several countries, including Canada, Germany and New Zealand. It also reached the top 20 in France and Italy and was the project's biggest hit in the United States, reaching number two on the Billboard Modern Rock Tracks chart, number four on the Billboard Hot 100, and number six on the Billboard Top 40 Mainstream. The song's melodic and talking vocals in English are provided by Angel X (Andreas Harde), and a short talking vocal by Sandra ("That's not the beginning of the end, that's the return to yourself, the return to innocence"), while an Amis people chant is repeated, which opens the song. Difang and Igay Duana, from the Amis, were in a cultural exchange program in Paris in 1988 when their performance of the song was recorded by the Maison des Cultures du Monde and later distributed on CD. The producer of Enigma, Michael Cretu, later obtained the CD and proceeded to sample it. In addition, the drum beat of the song was sampled from the Led Zeppelin song "When the Levee Breaks", played by John Bonham. The song was used to promote several types of media in the mid-1990s, including film and TV commercials. In autumn 1994, the song was featured in an episode of the TV show My So-Called Life. In 1995, the song was used as the closing theme in Disney's live-action film Man of the House, as well as in the opening and closing of an Outer Limits episode. In 1996, the song was further popularised when it was used in a television advertisement to promote the 1996 Summer Olympics. Julien Temple directed the video, which depicts a man's life in reverse, starting with him dying and ending with his baptism as a baby. (See also List of Enigma videos#The Cross of Changes). In March 1998, Difang and Igay Duana sued Cretu, Virgin Records, and a number of recording companies for unauthorised usage of their song without credit. The case was settled out of court for an undisclosed amount of money and all further releases of the song were credited (including royalties) to the Duanas (aka the Kuos -- their Chinese name). Cretu has stated that he had been led to believe that the recording was in the public domain and that he did not intentionally violate the Kuos' copyright. ^ Channel News Asia (1998-03-28). "Taiwan Aborigines Sue Enigma, Music Companies". Archived from the original on October 27, 2009. Retrieved 2017-02-18. CS1 maint: BOT: original-url status unknown (link). Channel News Asia. ^ Craig Rosen (1999-03-04). Enigma Sued By Aboriginal Couple Over Song Rights. LAUNCHcast. ^ Richard F. Roper (1999-06-23). Taiwanese Settle Lawsuit Claiming Their Original Composition Was Stolen; They Will Now Set Up Foundation. Business Wire. ^ "Australian-charts.com – Enigma – Return to Innocence". ARIA Top 50 Singles. ^ "Austriancharts.at – Enigma – Return to Innocence" (in German). Ö3 Austria Top 40. ^ "Ultratop.be – Enigma – Return to Innocence" (in Dutch). Ultratop 50. ^ "Top RPM Singles: Issue 2442." RPM. Library and Archives Canada. Retrieved 15 April 2019. ^ "Lescharts.com – Enigma – Return to Innocence" (in French). Les classement single. ^ "Offiziellecharts.de – Enigma – Return to Innocence". GfK Entertainment Charts. Retrieved 28 February 2019. ^ "Íslenski Listinn Topp 40 (17.02.1994 - 23.02.1994)" (PDF). Dagblaðið Vísir - Tónlist. Retrieved 2018-03-13. ^ "The Irish Charts – Search Results – Return to Innocence". Irish Singles Chart. Retrieved 15 April 2019. ^ a b "Hit I singoli più venduti del 1994". Hit Parade Italia (in Italian). Retrieved 15 April 2019. ^ "Nederlandse Top 40 – week 9, 1994" (in Dutch). Dutch Top 40 Retrieved 15 April 2019. ^ "Dutchcharts.nl – Enigma – Return to Innocence" (in Dutch). Single Top 100. ^ "Charts.nz – Enigma – Return to Innocence". Top 40 Singles. ^ "Norwegiancharts.com – Enigma – Return to Innocence". VG-lista. ^ "Notowanie nr629" (in Polish). LP3. 4 March 1994. Retrieved 15 April 2019. ^ "Official Scottish Singles Sales Chart Top 100". Official Charts Company. Retrieved 15 April 2019. ^ "Swedishcharts.com – Enigma – Return to Innocence". Singles Top 100. ^ "Swisscharts.com – Enigma – Return to Innocence". Swiss Singles Chart. ^ "Official Singles Chart Top 100". Official Charts Company. Retrieved 15 April 2019. ^ "Enigma Chart History (Hot 100)". Billboard. Retrieved 15 April 2019. ^ "Enigma Chart History (Adult Contemporary)". Billboard. Retrieved 15 April 2019. ^ "Enigma Chart History (Alternative Songs)". Billboard. Retrieved 15 April 2019. ^ "Enigma Chart History (Pop Songs)". Billboard. Retrieved 15 April 2019. ^ "Enigma Chart History (Rhythmic)". Billboard. Retrieved 15 April 2019. ^ "Jahreshitparade Singles 1994" (in German). Retrieved 15 April 2019. ^ "Jaaroverzichten 1994" (in Dutch). Ultratop. Retrieved 15 April 2019. ^ "RPM Top 100 Hit Tracks of 1994". RPM. Library and Archives Canada. Retrieved 15 April 2019. ^ "Classement Singles - année 1994" (in French). Archived from the original on 28 September 2013. Retrieved 15 April 2019. ^ "Top 100 Singles - Jahrescharts 1994" (in German). GfK Entertainment. Retrieved 15 April 2019. ^ "Jaaroverzichten - Single 1994" (in Dutch). MegaCharts. Retrieved 15 April 2019. ^ "End of Year Charts 1994". Recorded Music NZ. Retrieved 3 December 2017. ^ "Schweizer Jahreshitparade 1994" (in German). Retrieved 15 April 2019. ^ "Top 100 Singles 1994". Music Week. 14 January 1995. p. 9. ^ "Billboard Top 100 - 1994". Retrieved 27 August 2010. ^ "Gold-/Platin-Datenbank (Enigma; 'Return to Innocence')" (in German). Bundesverband Musikindustrie. 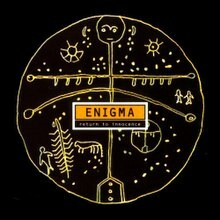 ^ "British single certifications – Enigma – Return to Innocence". British Phonographic Industry. Select singles in the Format field. Select Silver in the Certification field. Type Return to Innocence in the "Search BPI Awards" field and then press Enter. ^ "American single certifications – Enigma – Return to Innocence". Recording Industry Association of America. If necessary, click Advanced, then click Format, then select Single, then click SEARCH.